Brendon Stud‘s young stallion Noble Warrior is looking to be a worthy successor to his sire Warrior, whom the stud sold before he competed at the London Olympics. A tall, rangy stamp with a well set on neck and a good active canter, he has caught the eye a few times in recent years. His recent step up to 5 star shows in the late summer of 2017, shows he has the sport record to back up his promise, and as he is still such a young horse, the best of his career is still ahead of him. In 2017 he won the accumulator at the RIHS, qualified for the HOYS Talentseekers and has been winning Grand Prixs around the county circuit with Rob Whitaker. Noble Warrior’s oldest crop are only 2 year olds (bar one solitary 3 year old) and so not yet under saddle. It is reported they are all showing their sires great canter and all show a very similar technique when loose schooled – unbelievable power and hind end technique. He is adding bone on to his stock and it will be very interesting to see how they develop once out competing. 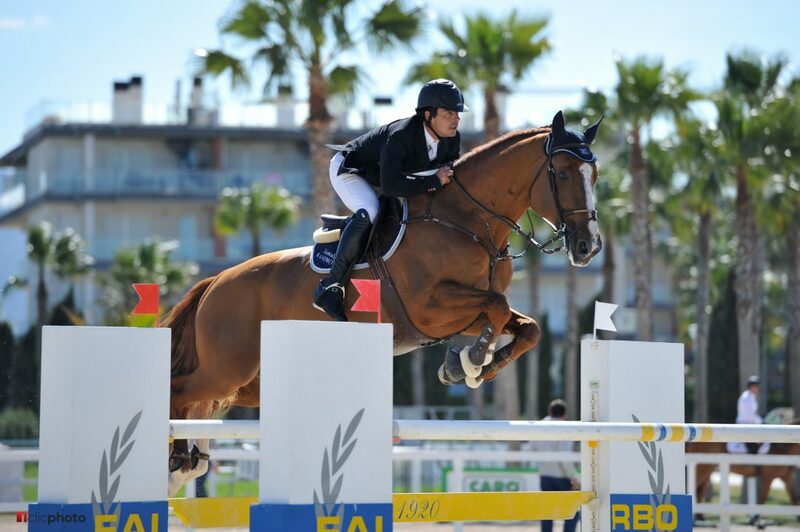 His sire Warrior won numerous big national classes in the UK with Louise Pavitt (RIHS, HOYS, Windsor) before being sold to Azerbaijan, for whom he has jumped with Jamal Rahimov ever since. Still only a 14 year old himself, he has been jumping internationally since he was 9, including Global Champions Tour and other big events in addition to the Olympics. 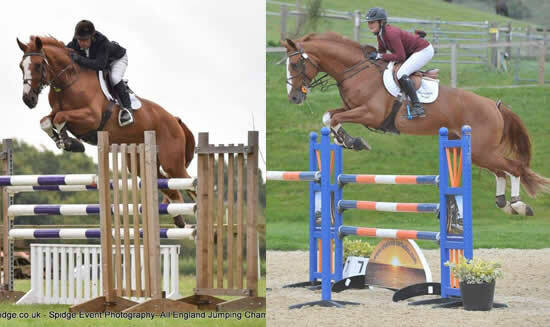 Warrior has bred some very useful horses for Brendon Stud including Warratino (licensed stallion & successful in young horse classes to 1.35m) and Native Warrior (successful in young horse classes to 1.35m). Noble Warrior’s dam Asadermie jumped BS before joining the Brendon Stud broodmare herd. She hails from the same very large and successful mare family as Nobel (Grand Prix dressage), Arthos R (KWPN licensed stallion & 1.60m), Mermus R, Tolan R & Odermus R (KWPN licensed stallions), Exclusive (AES licensed CCI** eventer), Adventure de Kannan (Hickstead Derby) and multiple 1.60m international performers. The full brother to Boudicca, Galahad, by Noble Warrior out of a Lux Z mare, achieved Reserve Champion at the Elite Foal Registration at Newton Stud, 2018, in the show jump section.